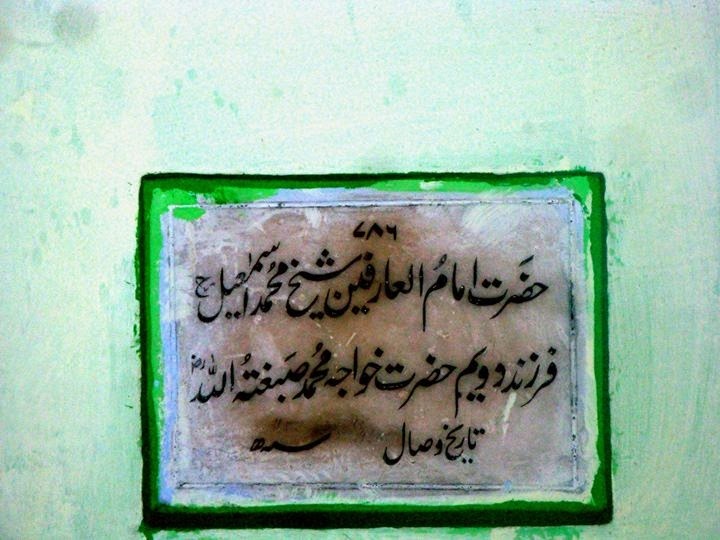 Hazrat Khwaja Muhammad Ismāeel Sirhindi (d. 1136 AH) was the second son of Khwaja Muhammad Sibghatullāh Sirhindi (1033-1122 AH) who was the grandson of Imam Rabbāni Shaykh Ahmad Sirhindi (971-1034 AH). He was one of the most prominent Sufi masters in the Mujaddidi family of Sirhind. His spiritual legacy includes many branches of the Naqshbandi order today, with potentially millions of followers.